A region I’ve been dying to visit for the shopping and souvenirs alone is Northwest France. Normandy and Brittany are pretty unique in that nearly all the best souvenirs (and there are quite a few) are specific to the region. 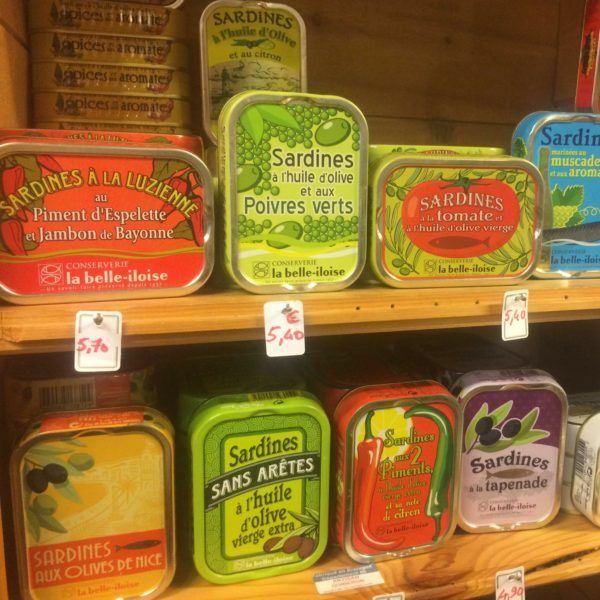 For example, the dramatic Breton coastline and tradition of fishing means you’ll find excellent fish soup and striped sailor shirt souvenirs. Normandie’s verdant green countryside means happy cows and the best dairy products- like luscious caramels. This apple growing region also means you’ll find delicious ciders. While I haven’t yet been to either Normandy or Breton, my friend Leigh recently brought her family to Brittany for vacation, and scouted out all the top souvenirs to bring home from the area. While Leigh’s vacation centered on Brittany, the regions are adjacent to each other and both offer similar souvenirs. Leigh’s son Henry enjoying the famous rocky Brittany beaches. Classic homes and shops in a Brittany village. 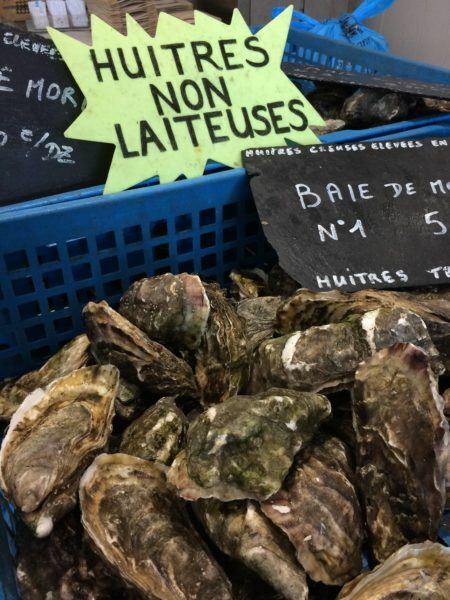 Don’t miss the famous oysters from Brittany. Without question, the most iconic souvenir from Breton would have to be the striped Breton shirt. You have definitely seen the classic Breton shirts and might even own one, not realizing its origin. Leigh mentioned after seeing so many souvenir Breton shirts, she had gotten pretty picky about the quality. Saint-James: This is the brand for ladies who luxe. Tres chic, but a little on the boxy side. Armor Luxe: They have been manufacturing in Brittany since 1940. A slimmer fit, and I love the colors! 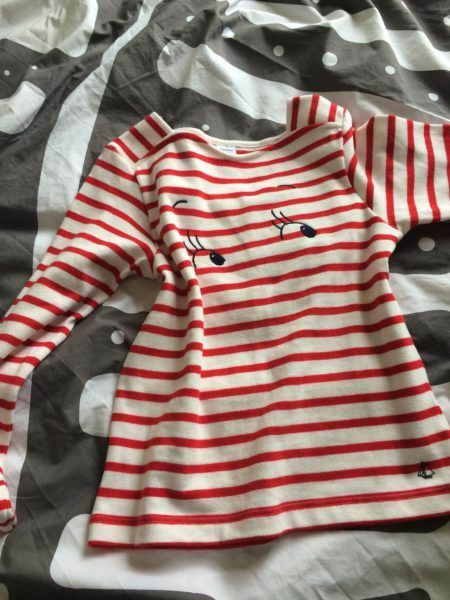 A cute wink version of the classic Breton shirt from Petit Bateau. I’m not a huge sweets fan but my absolute favorite, can’t resist sweets are salted caramels. While seemingly everything is available in a salted caramel flavor these days, nothing compares to the original version from Brittany. Apparently, not too long ago, there used to be many caramel-only candy shops throughout Brittany. 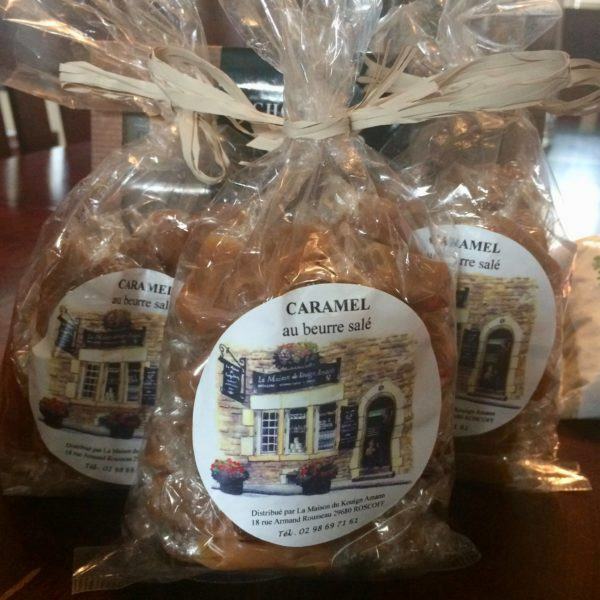 But although these have since expanded into selling other baked sweets now, there are still a few candy shops left that make salted caramels the old-fashioned way. The old-fashioned way being a time-consuming, labor intensive process (by hand and involving lots of stirring). The better the quality of the cream, the better the caramel. Even if you don’t make it to one of the top caramel shops, you’ll still find plenty of delicious caramel souvenirs all around Brittany. Beautifully packaged salted caramels bretons, a top Brittany souvenir. 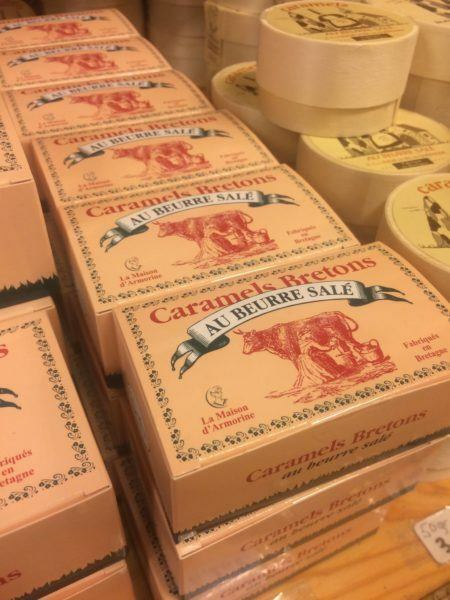 The best souvenirs from Brittany– hands down for me are creamy salted caramels. Cider has been made in France (and Brittany and Normandy specifically) since the Middle Ages. 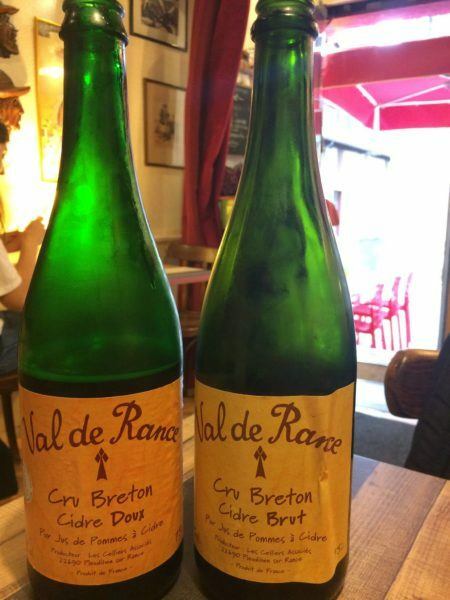 French cider is known for its subtlety and sweetness and makes a great souvenir to enjoy back home. 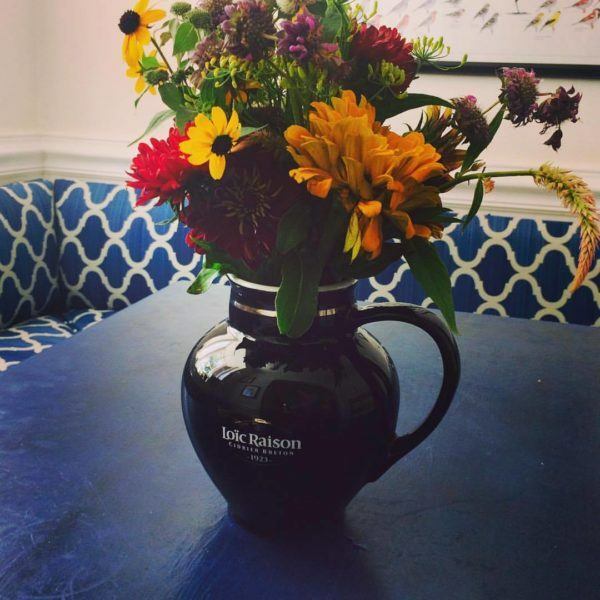 While you can probably find ceramic cider pitchers on sale at local shops, the pitchers used in local restaurants that you enjoy with your meal are somehow more tempting. Leigh thought so and managed to convince the owner of the creperie to let her take one home. Leigh was a little embarrassed to admit this, but I do the exact same thing! Leigh adds: Cidre comes in two varieties, brut (strong) and doux (sweet). I loved the dour, but both are delish. If you’re looking for the best place to enjoy a pitcher of cider, get yourself to the quaint little fishing village of Perros-Guirec to the Creperie & Moulerie (that’s right, the French have a name for a cafe that serves mussels!). The kind staff at Les Vieux Greements gave me the pitcher, which is almost as wonderful as the dinner. Delish! The Normandy cider pitcher is treasured back at Leigh’s home. 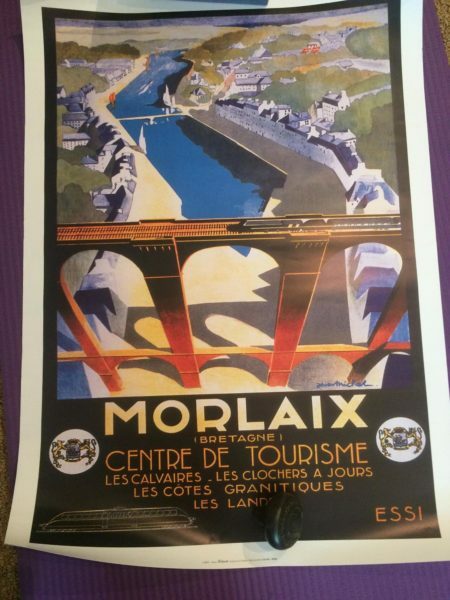 We are not entirely sure of the err legality of this next souvenir, but Leigh might have swiped a few gorgeous posters plastered on the walls around Brittany. 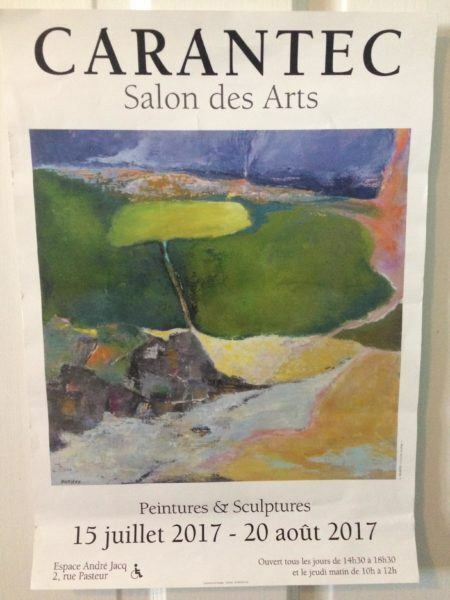 One of the posters Leigh brought from France. This is Leigh’s favorite poster, ready for framing. 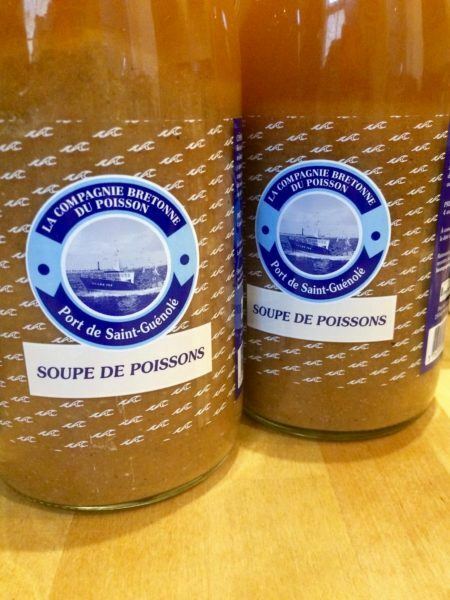 Coastal areas in France like Brittany and Normandy have a tradition of serving fish soup. Each region has their own version, in Brittany it’s known as Cotriade. Cotriade is a simple soup made from local fish and usually does not contain shellfish (unlike bouillabaisse to the South). French mustard is not all the same– every region of France has their own twist, and it’s worth trying them all. 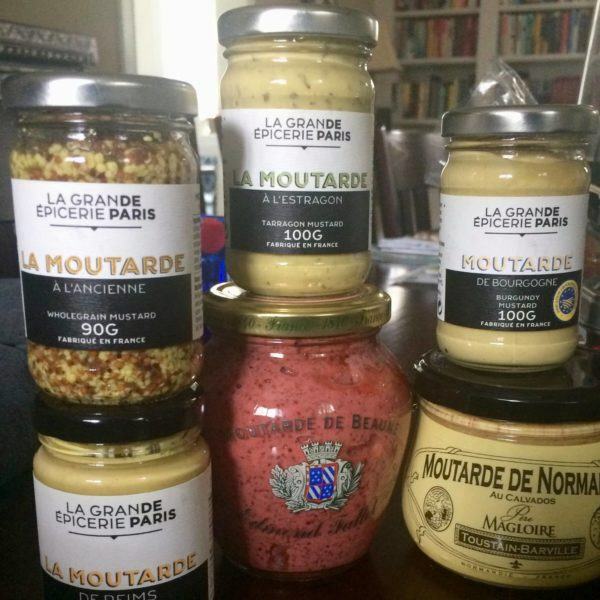 Local mustards from Brittany and Normandy, a great regional souvenir. 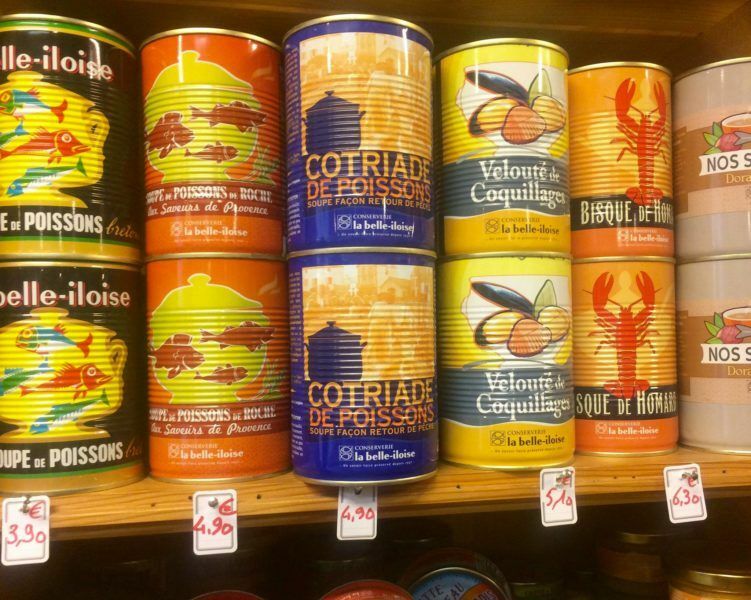 I’m not a huge fan of canned sardines (although canned oysters are quite tasty) but I adore the colorful tin packaging they come in. 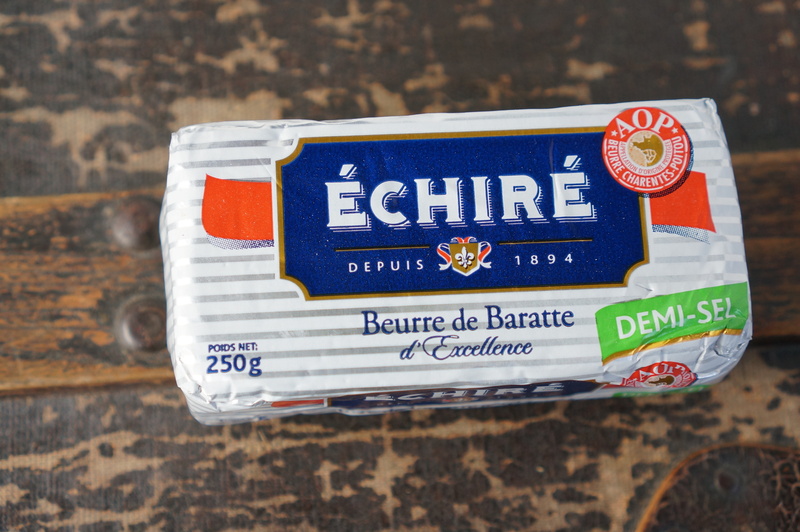 Normandy with its verdant pastures is famous for its butter. As long as it’s not the middle of summer, butter can survive a flight home (Europeans often don’t even refrigerate their butter anyway). We end with a classic Breton scene, shot by Leigh. Have you been to Normandy or Brittany? Tell us about your best souvenirs! Great article about Brittany and Normandy souvenenirs! 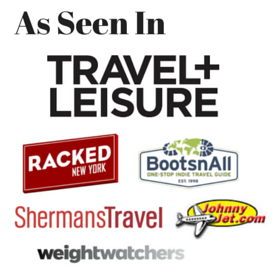 I haven’t been to that neck of the French woods yet (other than a cruise ship docking there at Le Havre in the fall of ’95 for a shore excursion to Paris). I wouldn’t mind getting a Brittany shirt and the salted caramels, but I would have avoided taking home cidre, mustard, and butter because of airport security’s tendency to confiscate anything that’s a gel or a liquid in a container bigger than 750 mL. I also hesitate in bringing home fragile objects unless I can get it tagged as Fragile at baggage drop-off at the airport. W/respect to cidre, I would have consumed it in my hotel room or w/a meal so that I could avoid taking it through airport security. I look forward to your next post! 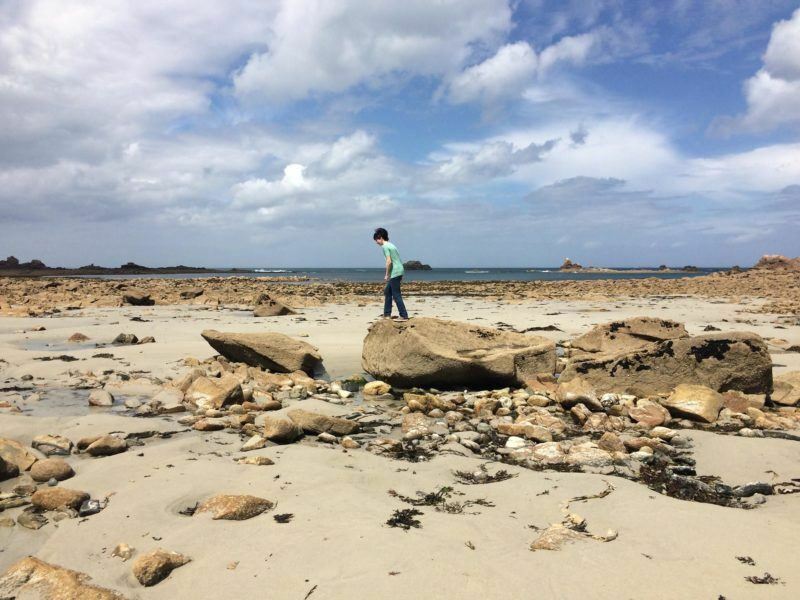 We spent 5 weeks exploring Brittany & Normandy last year . It was exquisite especially Mont St Michel, the only time I have seen my husband lost for words was as we drove towards the Mont & watched it appear out of nowhere , simply magical. 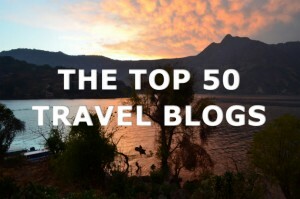 We stayed at Chateau Bocheel a few kilometres away which I couldn’t recommend highly enough. 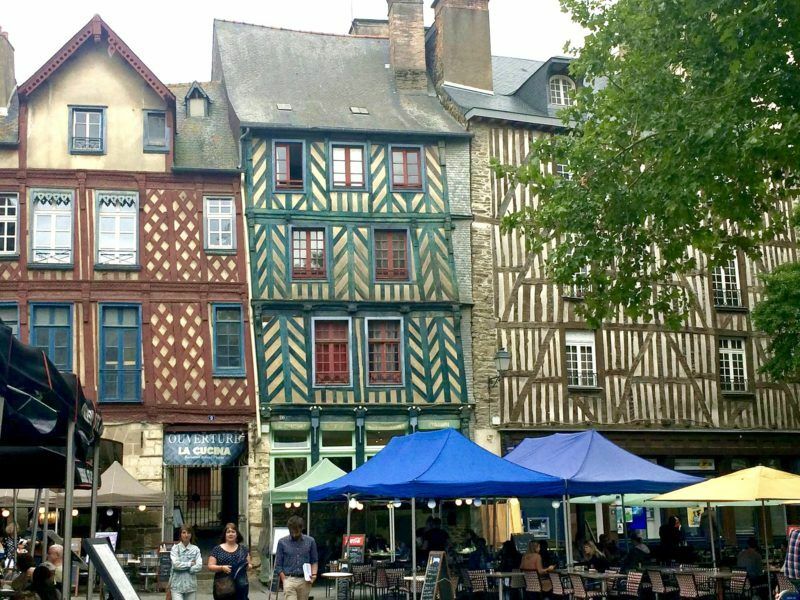 The town of Vannes was lovely too as was the beautiful village of Dinan & the imposing walled town of St. Malo. 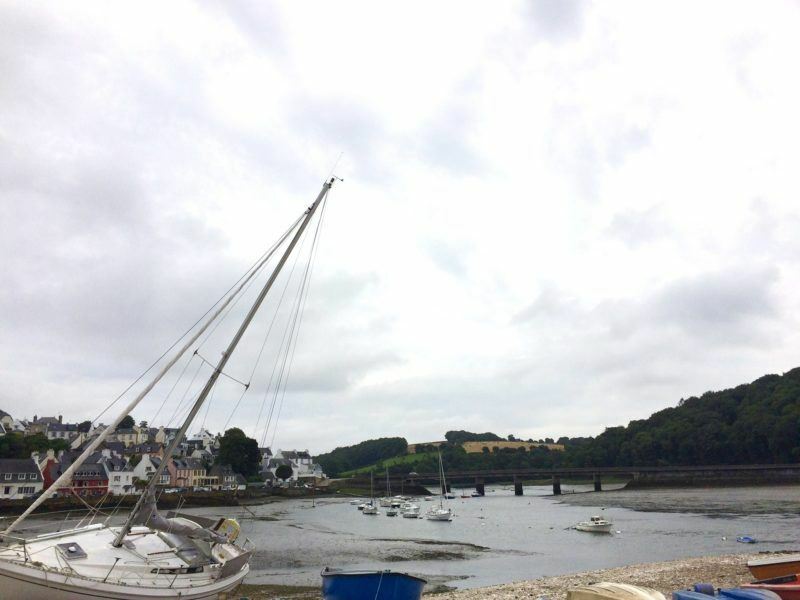 There are so many gorgeous towns & villages in Normandy & Brittany I could go on forever ….Josslin was another one . As I said I could go on forever . We stayed in great B&B’s & apartments , ate fabulous food & drank great wine. A wonderful part of France. We would return in a heartbeat!! !